Chase has lived in Loudoun County since 2005, and is a huge fan of this beautiful area! With an outgoing personality, attention to detail, love for decorating, and background in accounting, she is a natural choice in the process of buying or selling a home. Chase’s main focus is always helping her clients. Chase enjoys spending time with her husband and her two sons, being with friends, running, traveling, entertaining, and trying new restaurants. Chase is extremely active in voluntary roles within the community, including being the past Treasurer and the past President of her children’s school PTA. She has also served on the Board of Directors at her church, and continues to stay involved in many facets of the community. 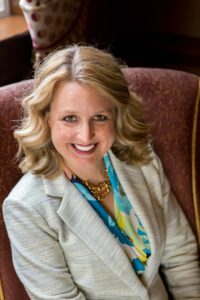 Professionally, Chase was a licensed and practicing CPA in Atlanta, Georgia, for 10 years before moving to Leesburg and becoming a stay-at-home mom and managing investment properties. She has experience in both public and private accounting, money management, auditing, and financial reporting.